Your guy will love the convenience of this Seneo Wireless Charging Stand. He can just set his phone in the stand, either vertically or horizontally to start his phone charging. No more fussing with messy cords. It also works with most phone cases on the phone. This charger is Qi certified and adopted with exclusive technology of ATB (Automatic Temperature Balance). The wireless charging speed is up to 15% faster than others; with temperature protection, input voltage protection, input current protection, short circuit protection and other multiple safety protection. The Seneo Wireless Charging Stand ensures the safety of your device during the entire charging process. Be sure you check that your guy’s phone is compatible with this charging stand before purchasing. This seems like a basic item, but your man can keep one tube in the garage, or one tube in his car or truck in the winter time or one at his office. This hand cream is highly-reviewed, ultra-affordable and your guy won’t feel like it’s lotion for a woman. O’Keeffe’s Working Hands is a concentrated hand cream that heals, relieves, and repairs extremely dry, cracked hands. It is safe and effective for people with diabetes. When used daily, O’Keeffe’s Working Hands instantly boosts moisture levels, creates a protective layer on the skin’s surface, and helps prevent further moisture loss. With over 2,000 positive reviews, this is a must read. This inspirational book, Make Your Bed will inspire you, your children and grandchildren to become everything that they can. It is a book to discuss with your executive leadership team as a spur to meeting shared goals. Most of all, it is a book that will leave you with tears in your eyes. It is full of captivating personal anecdotes from inside the national security vault…McRaven’s lessons, like his commencement speech, extend far beyond his bed-making. He devotes the 10-chapter book to lessons about moving beyond failure, standing up to bullies and giving others hope. This book is about 5 x 7, so be sure the hardcopy can fit in his stocking. It also makes a great small gift idea! These funny drink markers are a fun laugh for your guy’s next party. Attach your Bosom Buddy drink marker to the side of your glass and she’ll look after your drink all evening. Ideal for bachelor parties, house parties and guys’ nights, pick a lady to be by your side all night long and avoid drink mix ups. A sensible addition anytime the drinks are flowing. I love practical gifts and this Energizer Rechargeable Emergency Plug In LED Light is a must have! Don’t be left in the dark when the power goes out. Keep the Energizer Rechargeable Compact Handheld LED Flashlight in every room of your home so that your family is always prepared. This emergency light stays plugged into a wall and automatically turns on in the event of a power outage, and its retractable prongs allow you to easily use it as a flashlight. With light 4X brighter than standard LED technology, this handheld flashlight is powered by a rechargeable NiMH battery and will shine up to 30 meters. Simply plug the handheld flashlight into an outlet after use for a full recharge in 12 hours. Give your family and loved ones a bit of security and safety with the Energizer Rechargeable Compact Handheld LED Flashlight. It’s ready, even when you aren’t. These super affordable and highly-reviewed Skygenius pocket folding binoculars are perfect for taking to a concert or a sporting event. They are great quality for the price fold up easily to be pocket-sized! They weigh less than half a pound and can fold to just a little over 4 inches long and a little over 3.5 inches wide. This set comes with a simple carrying case and cleaning cloth. Keep one in the car and one in your household drawer for those quick fixes. There is a reason that this pocket tool set has over 3,000 reviews! The Stanley 4-in1 pocket Screwdriver 2-Pack gives the convenience of a set of precision screwdrivers in one small pocket tool! Each tool comes with two double-ended bits. These are ideal for toy assembly, battery compartments, eye glasses, electronics and more. The magnetic bits have non-slip textured surface so they attract and hold small screws; won’t crack, slip or peel. These Bring Me Crew Socks will give your guy a good laugh and they are fun to wear while lounging at home in his PJs or sweats. They come in lots of funny themes-socks, wine, coffee, tacos and in two different size ranges. The funny saying is woven in and not printed so the saying won’t wear off! These great socks make a funny, affordable stocking stuffer for men. These Extra Long Phone Charging Cables for your devices are perfect for charging up. Your guy can still use his phone or tablet while it is charging with this extra long 10 ft cable. I love these for reaching my device to my bed or over the back of the couch! They are sold in 2-packs, 3-packs and with various lengths. Be sure you purchase cord that is compatible with your guy’s device as there are options for iphones, ipads and androids devices. Prepare to be blown away with This Mini USB Fan. It is a light weight, table top fan for your home, office or wherever your guy chooses. It is includes 5 blades, is ultra-quiet and it is the ideal companion on a hot day when you want to keep cool. Powered by USB cable, you can have the fan running anywhere – connect it to your laptop or use it at the pool with a portable charger. No matter where you choose to use it, you can always stay cool. If the men in your life tend to lose their keys, phone or other things, you may want to check out this cool Tile – Phone Finder. Key Finder. Item Finder . Tile Mate is the easiest, quickest and most reliable way to find your phone, keys — anything! With over 5 million Tile devices sold, the Tile community is the world’s largest lost and found network. The Tile Finder just got 25% smaller! Tile is a tiny Bluetooth tracker and easy-to-use app that finds your phone, keys, and anything you don’t want to lose-in seconds. Attach a Tile to an item and locate it by sound, by seeing its last known location on a map, or by marking it as “lost” and getting an alert when it’s found. If your Tile is within the 100-foot Bluetooth range, it will play a loud tune until you find it. Your guys will love this super affordable and durable Anker Multi-Angle Aluminum Stand for Tablets, e-readers and Smartphones . This lightweight stand is pocket-sized and holds up to an 11lb device. It adjusts to hold devices both vertically and horizontally and it has rubber pads and feet protect your device from scratches and sliding. It is perfect for watching videos, viewing photos, reading, video recording, and much more. Gone are the days that you fill those stockings with soap on a rope. This highly-reviewed Mistral Men’s Soap comes in scents that men love. The bars are much larger than the drug store brand soaps, it lathers nicely and a little bit goes a long way. These soaps are made of 100% vegetable and shea and other extracts. This soap will not leave a residue and it will leave your skin feeling silky soft. Although this might take up your guy’s entire stocking, this Eagle Creek’s Pack-It Shoe Sac for Travel is so handy to have. Keep shoes away from clean clothes with this great zippered bag. It has a carry handle for your convenience and is constructed with LinkSeal Mesh for dirt resistance and easy visibility. Keep your travel bag organized and clean with the Pack-It Shoe Sac. This would be perfect, rolled up on his stocking and what a useful stocking stuffer for men. The men in your life will love this Taylor of Old Bond Street Shaving Cream . It produces a moisturizing lather that will help ensure a clean and problem-free shave. Its consistency is softer than that of other creams, so it lathers up quickly on either a brush or when used without a brush. It comes in several great scents including sandalwood, lavender, coconut and more. This very handy Original Grill Gauge is an easy-to-use, portable propane measuring device developed and used by propane professionals. Instantly measures the amount of propane in all 20-pound standard propane tanks used with gas grills. Works just like the gas gauge in your car, except for your gas grill. Unlike “pressure valve” gauges that are inconsistent and require constant connection, the Grill Gauge measures the relative weight of propane in your tank. Take the Grill Gauge with you to your refill or exchange retailer and make sure you’re getting the propane your’re paying for. The Grill Gauge needs no batteries or special conditions to operate. Just hook, lift, and look for an instant read-out of how much propane is in your tank. Your guy will need this OXO Good Grips Electronics Cleaning Brush to keep phones, computers and other electronics dust-free with this double-sided cleaning tool. The slim silicone wiper fits into little nooks around keyboard keys and screen edges, and the brush is soft enough for camera lenses and other sensitive areas. It includes a cap for wiper and retractable bristles. I love this useful product and it makes great stocking stuffers for men. If the guy in your life is a camper, cyclist or hiker, this Coleman MicroPacker Compact LED Lantern weighs just 6 ounces. Grab a lantern and a flashlight in the palm of your hand with the Coleman MicroPacker LED Lantern. The bright, 2-in-1 design snaps from area lighting to directional lighting quite literally in a snap. The bright LED lasts a lifetime, so it never needs to be replaced. The versatile light lasts up to 92 hours, and an extremely lightweight design is only 6 oz.-even with the three AA-cell batteries that power the lantern. This is also perfect for keeping in the car for emergencies. The men in your life will love how compact this LED light is and it bears the quality Coleman name. Your men will love this handy Teviwin Stylus and Ballpoint Pen for Universal Touch Screen Devices . The stylus is a high quality, ultra-sensitive, smooth use on any screens of digital products, responsive as finger touch. The other end is a ballpoint pen. It is designed to be lightweight,with a clip design and easy to carry. These are a pack of 12, with lots of bright, fun colors. I got my husband one of these small Rolodex holders in his stocking one year. 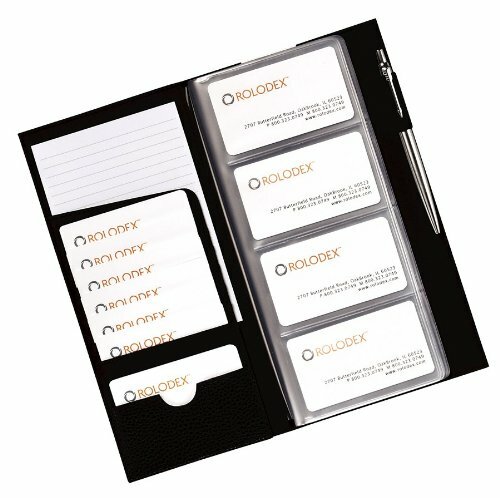 The Rolodex Low Profile Business Card Book, 96 Card Capacity holds 96 cards and it fits in most glove compartments. It’s the perfect way to organize their business contacts or clients. 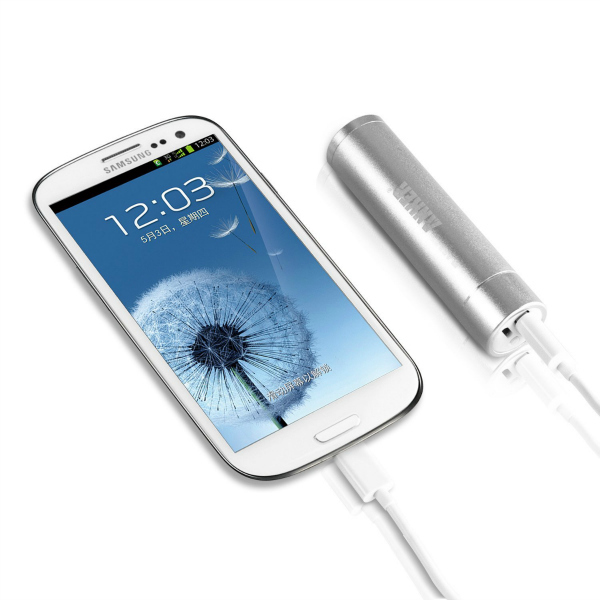 You will love this highly-reviewed pocket charger! This Anker® Astro Mini Ultra-Compact Portable External Battery Backup Charger will give your guy’s cell phone up to 9 hours of charge. It’s small and portable and they can tuck it into their coat pocket or in their glove box. No more dead cell phones and this works great for emergencies. 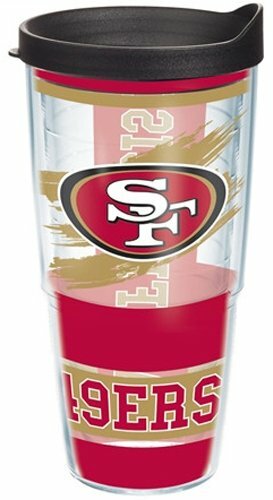 Tervis is known to make high quality cups and the man in your life will love to receive a Tervis Tumbler with his favorite sports team on it! These cups are great for hot or cold beverages and they are so tough that they are microwave and dishwasher safe. If you love this list of stocking stuffer ideas for men, and you need more gift ideas, then check out our great gift ideas page. We will be adding more gift ideas and holiday shopping tips all month. Be sure to sign up for our free newsletter so all the updates comes right your inbox.